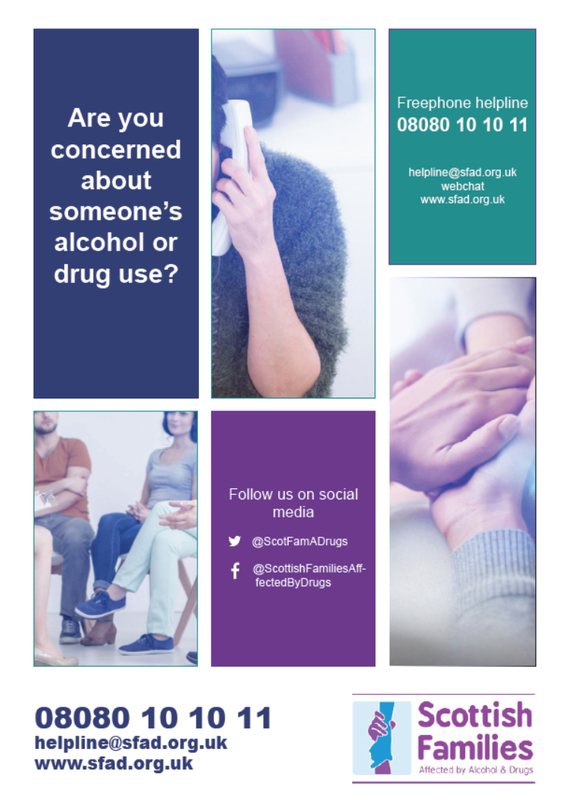 Here are a selection of leaflets and posters that help with particular issues. 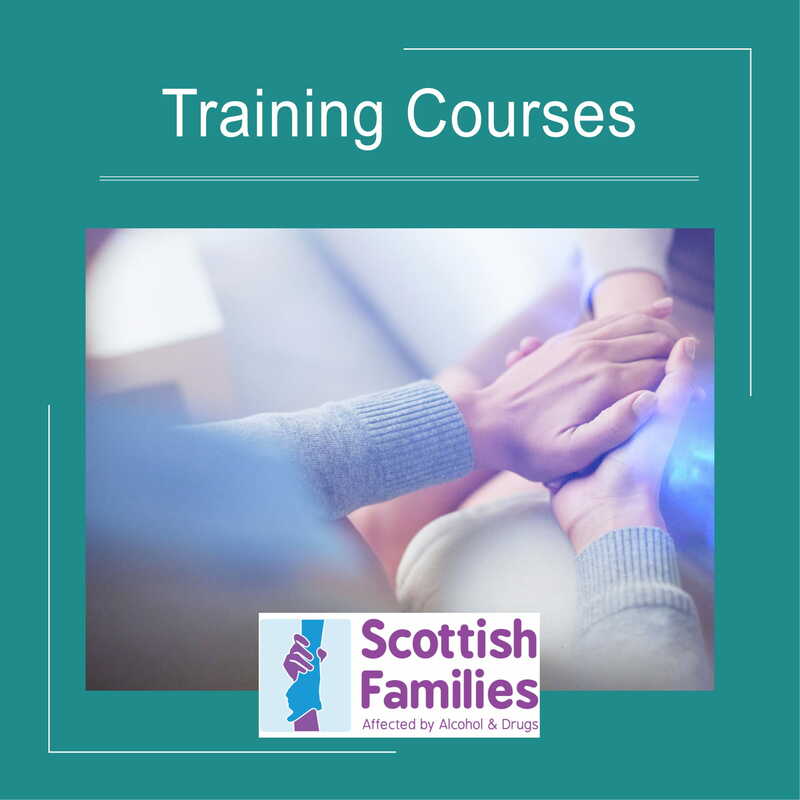 Should you wish any of the Scottish Families materials sent to your workplace please email our Helpline Development Officer Suzie Gallagher who will arrange this – suzanne@sfad.org.uk. 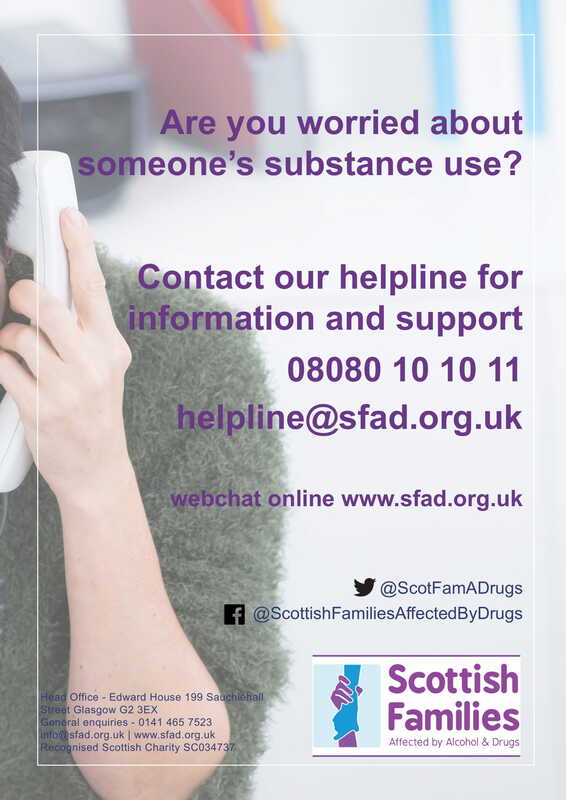 Poster with our helpline number and details. 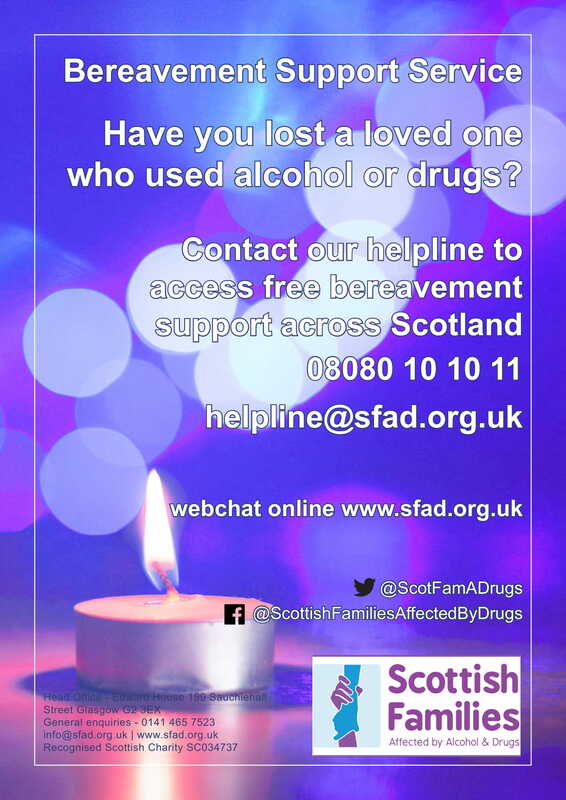 Poster with our bereavement support contact details. 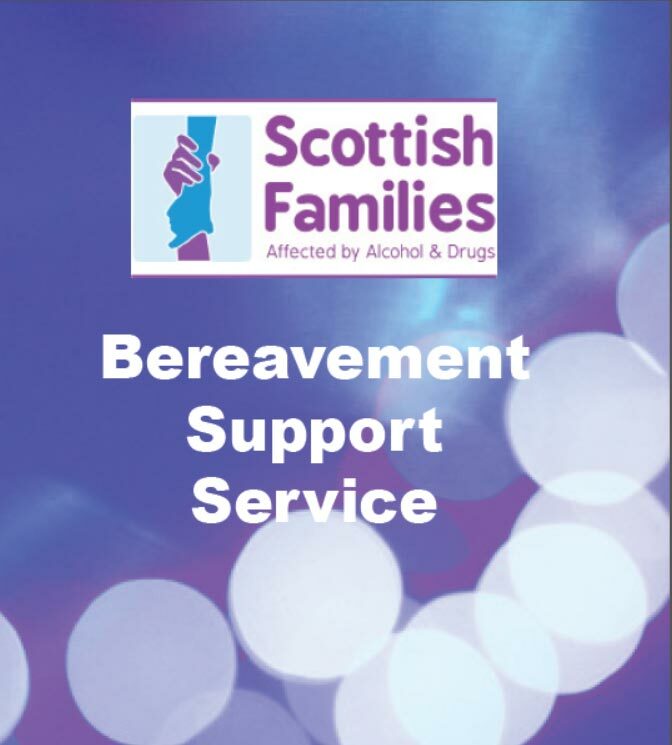 Provides full details on our bereavement support service. 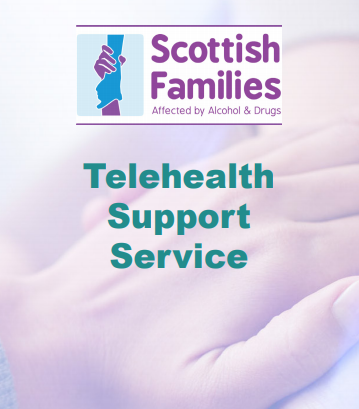 Full information on our Telehealth service. 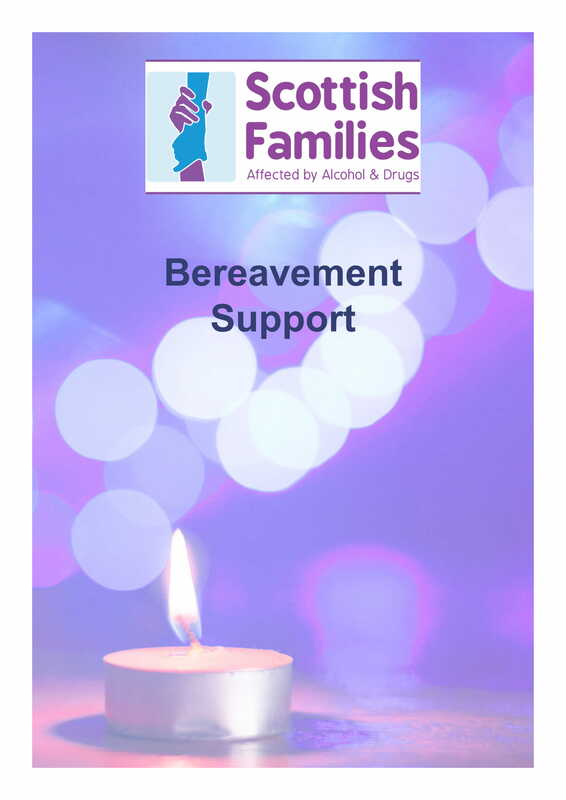 An information booklet on bereavement and supporting someone through their bereavement. We want you to pull on your trainers and get fundraising! 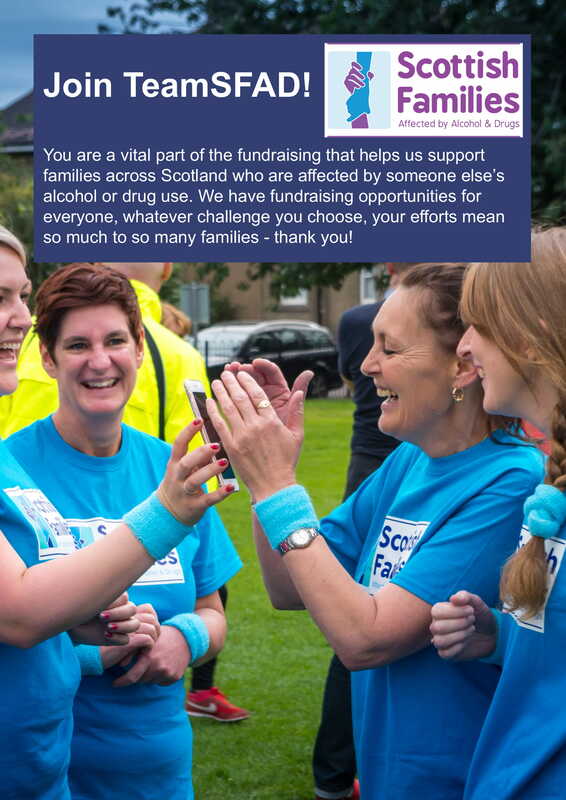 Here are a list of upcoming events to inspire you to join TeamSFAD. Full details on the bespoke training courses we offer.